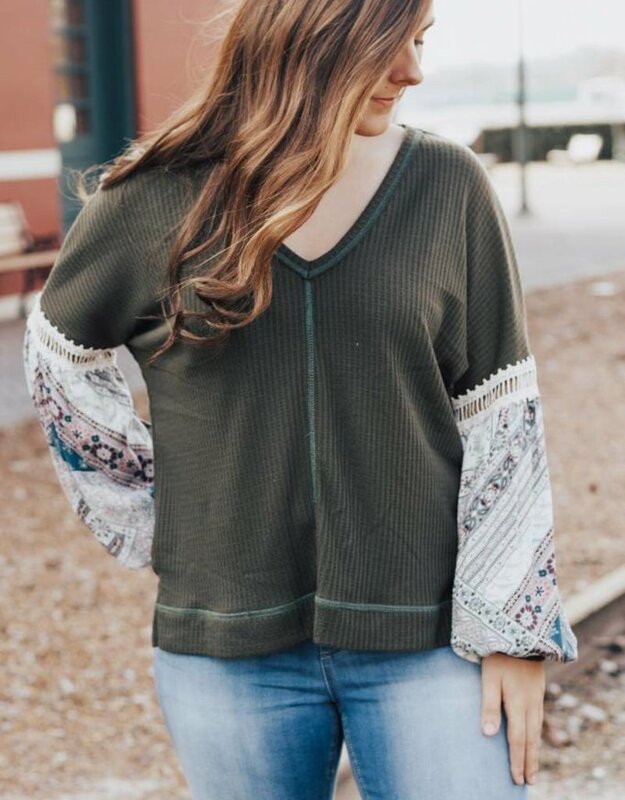 This darling sweater is anything but basic! 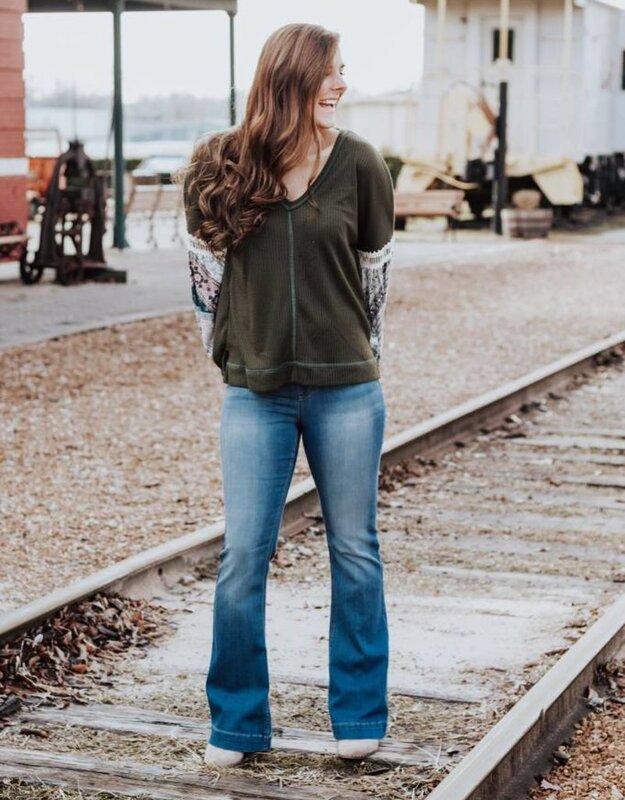 Featuring a balloon sleeve detail, this beautiful style is so perfect for this season! And we love this amazing olive color! 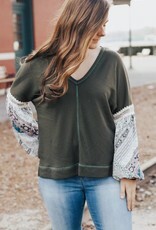 It's so easy to throw this gorgeous sweater on over jeans and stylish tall boots for an effortlessly cute outfit!